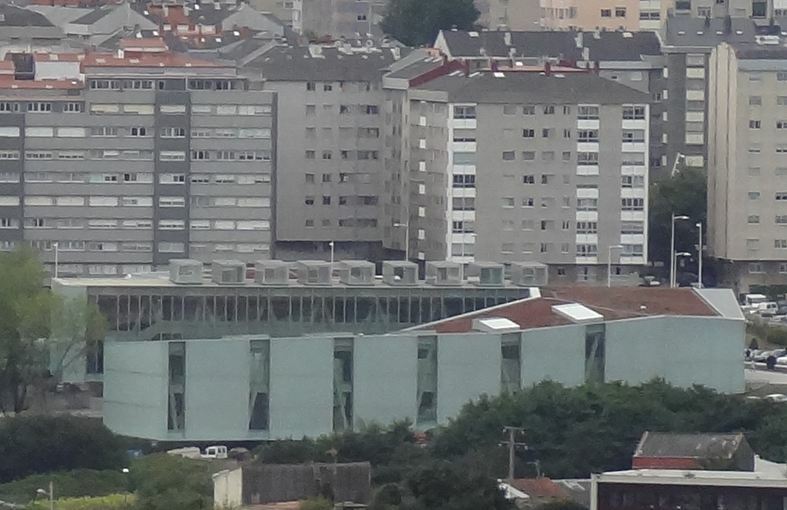 The Agora is a recently opened civic center in the Ronda de Outeiro area, in La Coruña. 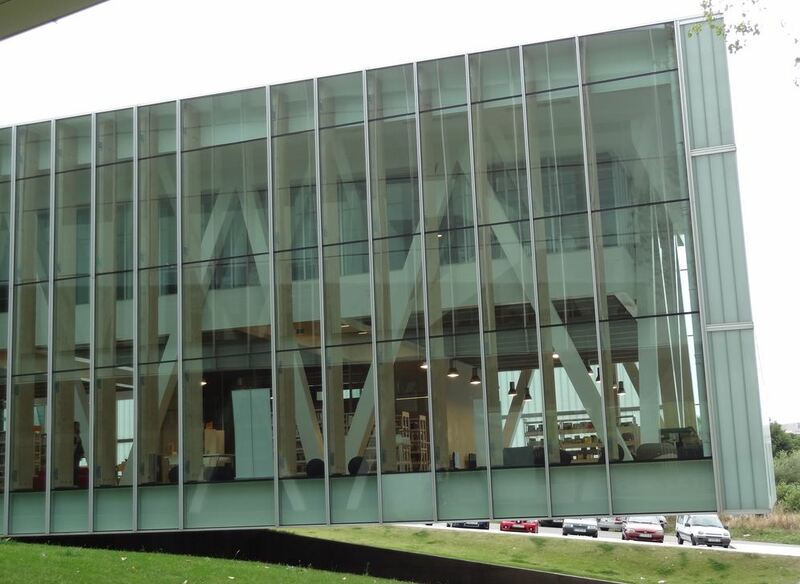 Iit covers one of the densest neighborhoods in what is one of the denser Spanish cities. The project (by Rojo+Fernandez Shaw arquitectos) uses the land slope to create an interesting multilevel architecture, in which the library is on a side wing, suspended over the garage entrance. 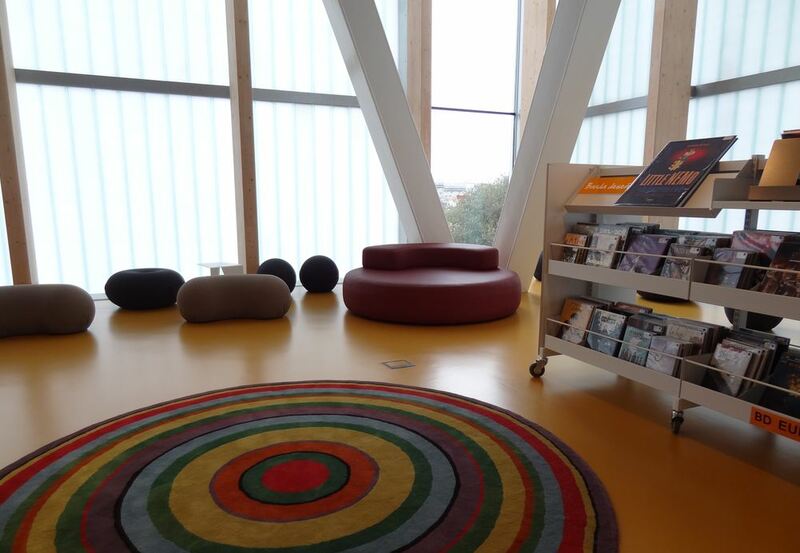 The reading room has the qualities of an almost domestic space, being a nice place to grab a book and stay for hours.